Don't start. Reubens have never actually left the New Orleans restaurant scene, it just seems like they're popping up on menus everywhere recently and not only because St. Patrick's Day is right around the corner. One can theorize that as a side effect of chefs' renewed interest in making everything themselves, from baking their own table bread to curing their own meats, the Reuben has returned in force to flaunt that particularly tasty talent. And let's face it, is there a better way to enjoy corned beef and cabbage than being smothered in cheese and dressing on freshly baked rye? While everyone who's anyone in this town knows that a traditional New York deli favorite like the Reuben (or its sister, the pastrami-laden Rachel) can be found at Stein's on Magazine Street, this food writer thought props should be offered to other restaurants serving incredible Reubens as well. After all, owner Dan Stein can't hog the whole spotlight … can he? For example, have you tried a Reuben at The Standard? Open less than a year, this humble café, near Napoleon Avenue on Magazine Street, owned and operated by Alison Wild and Lana Banks, offers a very “standard” American cuisine-inspired menu. Among an herb chicken croissant and goat cheese enchiladas, you'll find their $10 Reuben with thick-sliced corned beef brisket, tangy sauerkraut, ooey-gooey, melted Swiss and thousand island dressing grilled on Jewish rye and served with hand-cut fries. Even cooler? 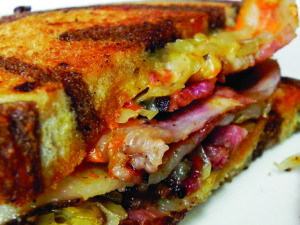 The Standard offers a vegetarian Reuben which substitutes grilled tempeh for corned beef. The brand new St. James Cheese Co. in the Warehouse District is offering their version of the Rachel (a Reuben with pastrami instead of corned beef) that is bound to buoy your taste buds. Called The Pastrami, this truly cheesy delight piles house-pulled pastrami, raclette cheese, bread and butter pickles, sauerkraut and Coleman's mustard grilled on fragrant rye and is served with kettle-style potato chips. Looking for something a little different? 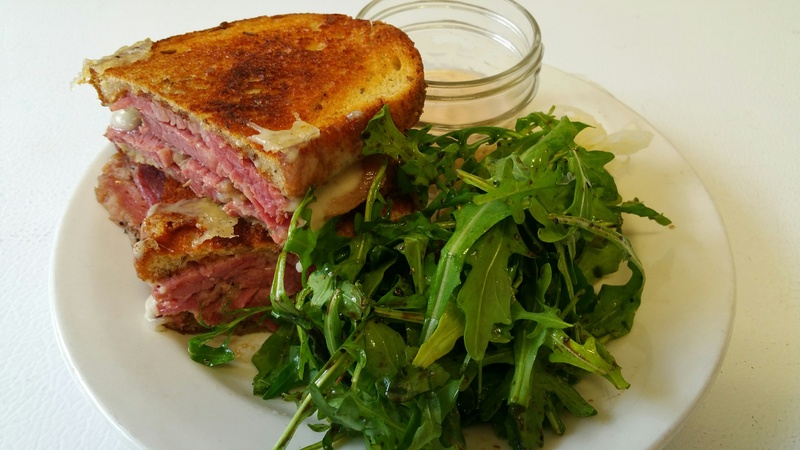 Head on over to Rivista – yep, another spot on Magazine Street – for Chef Lisa Barbato's corned beef melt with special sauce (a.k.a. Russian dressing) and Swiss cheese on her own, freshly baked rye. Oh and by the way, if you have a gluten sensitivity or celiac disease, Barbato can make your melt gluten free. Available for quite a while now, there's a whole new way to eat a Reuben at Rum and the Lash, a fairly-new kitchen installment at Finn McCool's Irish Pub created by Chef Michael Gulotta of MoPho. Instead of a sandwich, diners can score a dish of corned beef poutine where a mound of rich corned beef, spicy cabbage and mustard-mozzarella gravy is supported by beer-batter fries. Finally, though this is certainly not a comprehensive list of all the great Reubens in the Greater New Orleans Area, one of the most interesting (in my opinion) and most spectacular awards should go to the stellar version at Boucherie. Located on S. Carrollton Avenue, this affordable bistro with white-linen-level cuisine will blow your lunch away with Chef Nathaniel Zimet's uber-decadent Smoked Corned Pork Belly Reuben with a vinegary sauerkraut, nutty gruyere and Russian dressing on their own, house-made rye. 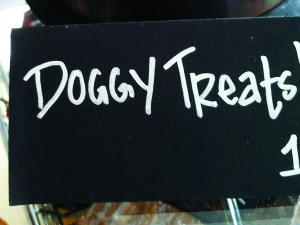 Will the corned creativity never end? We hope not.